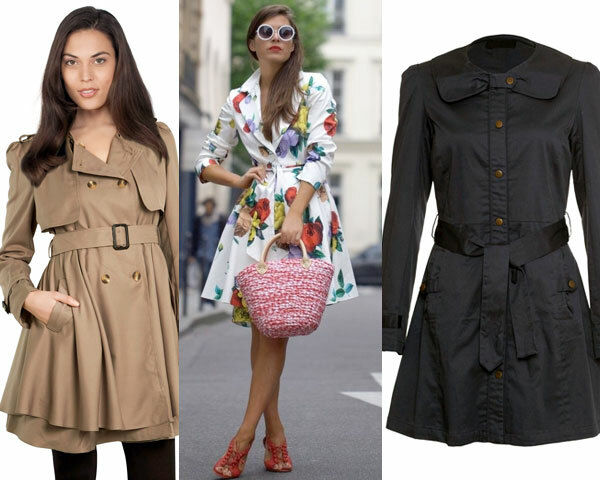 Among the most dependable attires in a wardrobe, trench coats top the list. Earning a reputation as a wear for all seasons, there is more to this unique apparel. Over the years, trench coats have made their way into every fashion conscious and connoisseur’s wardrobe, including yours. Unlike other garments, these provide remarkable utilitarian value. That said, today, they offer wearers a range of styles if done right to look their best. How? This article aims to help readers understand the different ways of wearing this garb. A classic trench coat will never go out of fashion. Make it a point to have one either in beige or khaki color. Team it with muted tones like gray, white or brown to achieve a clean and minimal classic look. In contrast, for a rocker chic look pair the same with a rock n roll tee along with a generous amount of leather gear. Although not a cocktail attire, feel free to pair it with your cocktail dress for finesse. Double or single-breasted coat with clean lines are apt. Black beautifully compliments almost any body shape and complexion. However, if your apparel is black opt for browns, grays or reds. Make sure its length complements your dress and fits just right. Bright colored overcoats are a fine way to update the wardrobe. Move away from beige, grey or black. This winter add a splash of vibrancy and interest with a red, pink, blue, green or mint tone. These are perfect to make a bold fashion statement. Moreover, colorful outfits infuse a sense of cheer and are a welcoming sight during the cold weather. A trench coat entirely can be worn as a dress. Characterized by a structured look lends it versatility, making it possible for the wearer to don it like a frock. To achieve this, opt for a coat made from soft and thin fabric. By tying it tightly around your waist, you will see it transforms into a dress. Adding a pair of stiletto will complete the overall appeal.